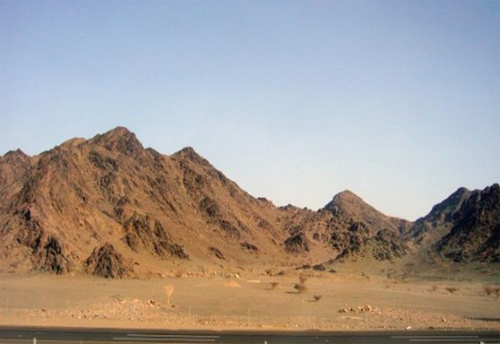 Maulana revealed that Saints had a way of calculating when the Day of Arafah would fall. Shaykh Abdul Qadir Jilani (qs) taught that, the following three days in the Muslim Calendar, in the same year, always fall on the same day of the week – the first day of the Muslim calendar (Muharram), the first day of Ramadhan and the Day of Eid in Zulhijjah. Since the first day of Muharram and Ramadhan this past year fell on Saturday, Eid must also fall on Saturday (5th Nov 2011), hence the Day of Arafah is on Friday, the 4th of November. But as is the Will of the Heavens, the start of this year’s Ramadhan was mired in uncertainty, and this has made the determination of Eid also unclear to the general public. Another interesting Saintly calculation is as follows. The day on which the 5th of Ramadhan falls in one year, will be the day Ramadhan begins in the following year. For example, since the 1st of Ramadhan fell on a Saturday earlier this year, then the 5th would have been on a Wednesday. Hence, next year’s Ramadhan will start on a Wednesday! This year, whilst the masses gather in Arafah on Saturday (5th November 2011), a Spiritual gathering of Saints and Rijalallah will happen on Friday (4th November 2011). This is from Divine Wisdom, the Saints had prayed for this. Had this year been officially announced as the year of Hajjul Akbar, too many people would have tried to be at this Haj, awaiting the emergence of the Imamul ‘Asr (as), but the Saints are gathering at Arafah to decide on matters of great importance and they did not want it to be crowded. Hence, Hajjul Akbar was not declared to the general public. Imam Mahdi (as) will emerge in the year that the Day of Arafah falls on a Friday, as it is according to his honour. Hence, today, Friday, is the Wuquf of Saints, and Maulana says that there will be an appearance of Sohibul Zaman (as) there, though the full manifestation of his (as) power will be only seen in the month of Muharram. Maulana advises all to abide by the dates of Arafah and Eid laid down by their own religious authorities/governments/communities, and to have full trust in Allah in this matter. For example, he said that pilgrims must abide by the Hijaz fatwa, and gather on Saturday, they cannot do as they like and gather on Friday instead and still, they will be rewarded like those who have performed the Hajjul Akbar! They must not engage in frivolous talk, haggling, quarrelling, arguing or wrangling. Fast on the 8th (Yawmul Tarwiyah) and 9th (Yawmul Arafah) of Zulhijjah. Remember fasting means that your tongue, eyes, and all organs, must fast too, especially your heart. SubhanAllah, wal Humdulilah, wa La Ilaha illallahu, wa Allahu Akbar, wa la Hawla wa la Quwwata illa Billah Al Aliyal Azim, 100x. The contents of this Summary was extracted from three Suhbahs, titled as follows – Day of Arafat, 27th October 2011, Wird Arafah 1st Nov 2011, and Zuhur on Arafah 1st Nov 2011. These Suhbahs can be viewed at www.Saltanat.org. There is a Subtitle button next to the Volume control at the bottom of the screen to choose from eleven languages – Arabic, Bahasa Indonesia/Melayu, German, English, Spanish, Italian, Russian, Mandarin, Dutch, Italian and Turkish. Click the Audio button for a live translation into the different languages. Should the video no longer be there, please look for it under the video archives of the Saltanat TV site. Saltanat TV is the Official Site of Maulana Shaykh Nazim that is sanctioned and approved by him personally. This entry was posted in Maulana Shaykh Nazim's Suhbahs, Notes and tagged Abdul Qadir Jilani, Arafah, Haj, haji, haji akbar, hajji, hajjul akbar, Imam Mahdi, Imamul 'Asr, Jilani, Mahdi, Saints, Sohibul Zaman. Bookmark the permalink.